I am by no means an expert in this area, but I have been through a lot of ups and downs in life. Today, I feel truly blessed to live the life of my dreams; and I feel it is my responsibility to share what I have learned on my journey so others can benefit. The reality is that it took me a lot of introspection, hard work, intellectual honesty, courage, and failure to arrive to this point in my life. What do I mean? 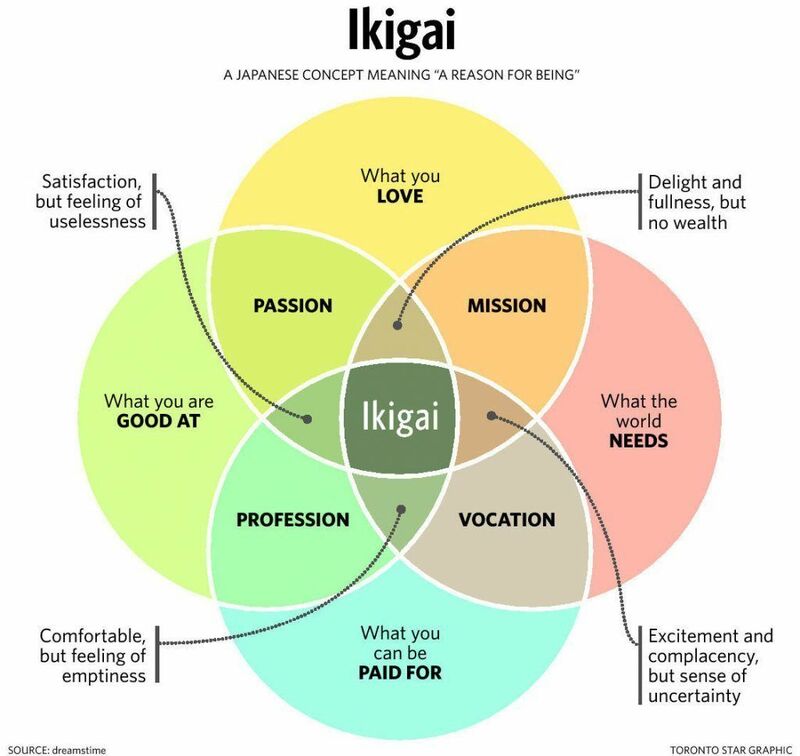 It took me different experiences to discover my IKIGAI: the intersection of what I love, what my strengths are, what the world needs, and what I can make a living from. If you find a job that you love and it also happens to utilize your strengths, then you will find happiness and success. Entrepreneurship might not be for everyone (due to the long hours, intense stress, crazy risk-taking, and unpredictable volatility). However, a dream job is definitely attainable by everyone. If you are thoughtful enough and work at it, you will find yourself living the life of your dreams. Look inward to find the answers. What is it that ignites your soul? What is it that makes you happy? What is it that makes you feel most alive? 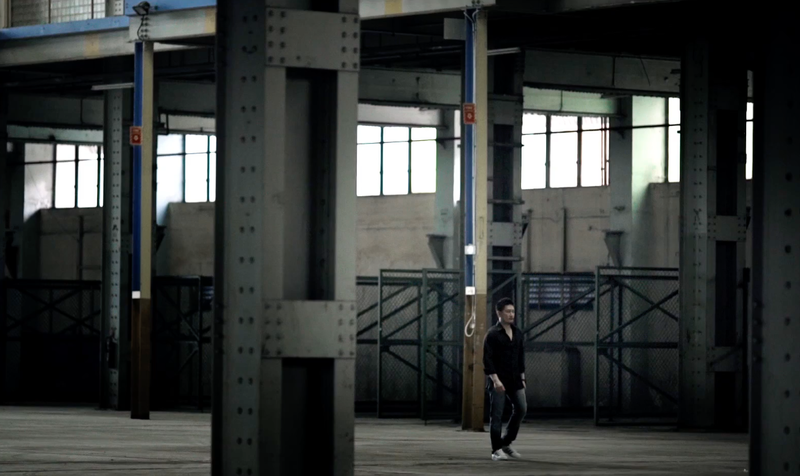 For me, I love entrepreneurship and I love martial arts. Yes, it is true that the economic rewards in entrepreneurship are handsome. However, if you ask true entrepreneurs (like Elon Musk, Richard Branson, Mark Zuckerberg, Jack Ma, or the late Steve Jobs) what drives them, it is not money. It is the thrill of the adventure. A true entrepreneur yearns to change the world, to defy the odds, and to make a positive impact on the lives of others. Money is simply a by-product. In many ways, entrepreneurs are artists and romantics. We believe in dreams. We believe in love. We believe in expressing our souls through our work. At the end of the day, we all die. Nothing remains, except for the impact we make on others. The knowledge that we left this Earth better off than how we found it is perhaps the immortality we seek. 2) Assess what you want out of life. Some people want passion. Some people want money. Some people want time. Some people want luxury. Some people want prestige. Some people want travel. Some people want achievement. There are no right answers. You need to assess what is most important to you. Unfortunately, the opinions of your family, friends, or others have zero relevance. You should never listen to them on what you should do in life. You can get their views on your strengths and weaknesses, but you should never follow their advice on what to do. It is your life, and only you know what truths lay hidden in your soul. What do YOU want out of life? What are your dreams? Who do you want to become? What do you want to achieve? 3) Know your strengths and weaknesses. Most people lack self-awareness. The root cause is either a) they simply don’t take the time and effort to reflect deeply on themselves, or b) they cannot admit the truth. It takes effort, time, and intellectual honesty to understand your strengths and weaknesses. And the reality is that we all uncover more of both with each passing year. Ultimately, if you find something you love to do, and the job plays to your strengths, you will inevitably find success in every sense of the word. 4) Find a growth company with a mission that ignites your soul. After doing an honest self-assessment of your passions, what you want out of life, and your strengths/weaknesses, you should explore and research many different types of companies across many industries. Do you want to join a startup where there is an abundance of passion, dreams, learnings, and pressure? Do you want to join a safe multinational corporation where the career trajectory and learning opportunities are at a slow pace? Do you want to make a lot of money? Do you want a 9 to 5 life? Or do you want to do something extraordinary? What about the company’s values and mission? Do they speak to you? Think deeply about what the company really does for the world instead of glossing over it. It is important that you believe in the mission. At the end of the day, I believe that you should find a growth company whose values and mission speak to you. A safe and slow company might provide you with safety and stability, but it will also provide a less steep trajectory on all fronts. If you find a growth company, there is a strong probability of huge learning opportunities, more responsibilities, more compensation, and more upward trajectory. Details are everything in a CV. Make sure your CV is straight, to the point, and 100% accurate on facts. 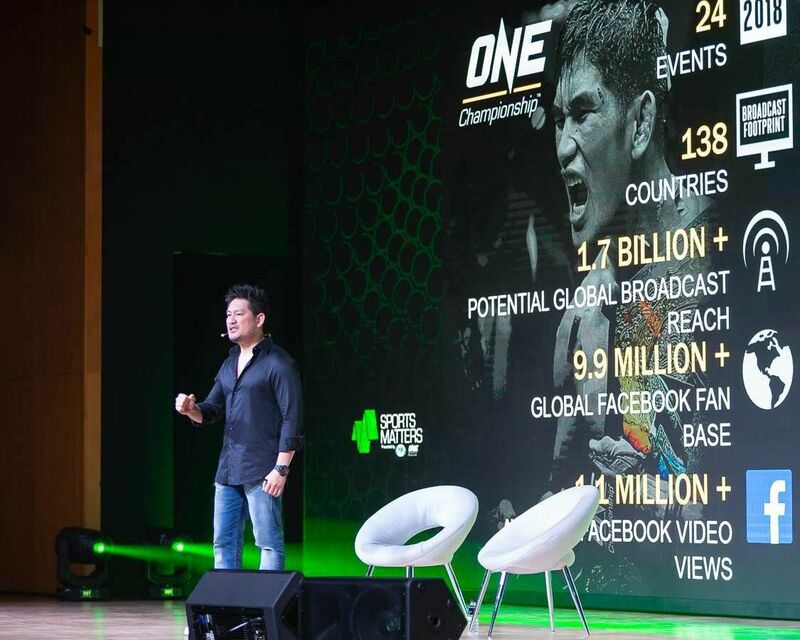 At ONE Championship, a single error on a CV results in an automatic rejection. Nothing else matters. 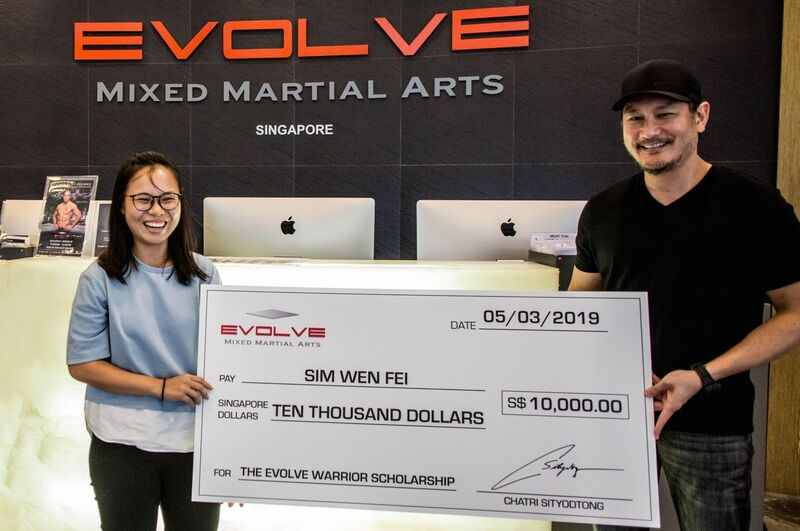 Our belief is that if you cannot take the time and effort to ensure your CV is perfect, you will never meet our standard of excellence anyways at ONE Championship. 6) Network to get a job interview. If you just send in your CV, you are banking on the good luck that the HR manager chooses your CV out of thousands every day. Don’t leave it to chance. If you find your dream company, do your best to find a way to network into that company. Do your best to find current employees and get them to help you. I would even go so far as to buy them coffee or even a meal in exchange for some level of mutual benefit and win-win exchange. If you have a few insiders who vouch for you, you will likely get an interview at your dream company. 7) Study everything about your target company. Look the part. Dress the part. Be the part. However, don’t pretend to be someone you are not. You are only doing yourself a disservice and wasting your time if you pretend. You need to find a place that fits YOU. The more you know about your dream company, the more you will understand if you fit into its culture. Is it a happy place? Is it a place full of superstars? Is it a place of meritocracy? Is it a fun family culture? Or is it a stiff corporate culture? Learn as much as you can about your dream company’s culture and see if it speaks to you and who you are and who you want to become. 8) Know your interviewers and their backgrounds. If you are lucky enough to land an interview in your dream company, be sure to do your homework. Do your best to get the names and titles of everyone you are going to interview with. Google them. Find out everything you can about them. The key is to try to find common ground so there are points to connect during the interview. Also, if you want to impress an interviewer, you need to show how much you know about the company and the interviewers. This small detail separates the world champions from the contenders. 9) Ask lots of questions. It is absolutely critical that you ask questions so that you can truly understand a company’s values, culture, compensation system, learning/growth opportunities, and your career path. The more you know about a given company and every little detail, the better off you are in making the right decision. 10) Find out about your boss. Your boss will be one of the biggest factors of your career trajectory. That being said, there is no such thing as a perfect boss. Every boss will have good things and bad things about him/her. I think it is important to understand what drives your boss, and how it relates to you. Do your best to find out his/her pet peeves. Figure out what he/she likes. Learn his/her standard of excellence. At the end of the day, you want a boss who genuinely cares about you and your career. He/she should be someone who will give you opportunities to learn, grow, and evolve. He/she should be someone who has a lot to offer you in terms of experiences, lessons, and skills. He/she should invest themselves into you and your career. He/she should also look after you and your compensation. He/she should definitely be someone who can bring out the best in you and give you the freedom to fly. The process of unleashing your greatness in life won’t always be pleasant because it will require you to break through limits and beliefs. It might even include truths that might hurt your ego. However, if you find a boss who cares enough about you to tell you, you are one of the lucky ones. Ultimately, find a boss who will help you to evolve into the greatest version of yourself. I am not an HR expert, but I hope my thoughts above will help you to chase your greatness. I might not have formal training in HR, but I do have plenty of experience starting, building, and/or investing in companies. If you find your dream job along the 10 dimensions above, you will most certainly have happiness and success. Every job will have its pros and cons, but the most important thing is your overall happiness and fulfillment. Ultimately, a job is a journey. It is an adventure. And it should be a wonderful one. May you be blessed and find your dream job! Happy Job Hunting!